It is a NEW YEAR! Take time for a NEW YOU! Here's hoping you had a restful and relaxing Christmas vacation! We are ready to start this new year off with a new you! Come in and select from our self-help series highlighted this month. You may also enjoy reading stories about other young people who have helped themselves and others. 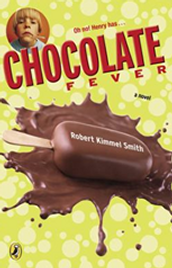 Click on the hyperlink below to see the TitlePeeks. Top women doctors share their unique self-help advice on your body, your feelings and your life. 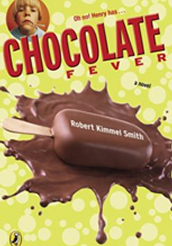 From eating too much chocolate, Henry breaks out in brown bumps that help him foil some hijackers and teach him a valuable lesson about self-indulgence. Discusses how students with learning disabilities can cope with their problems and learn to overcome them with the help of their friends, family, and teachers. As the month draws to a close I hope you were able to start a NEW YOU by reading some of our great titles on display this month. 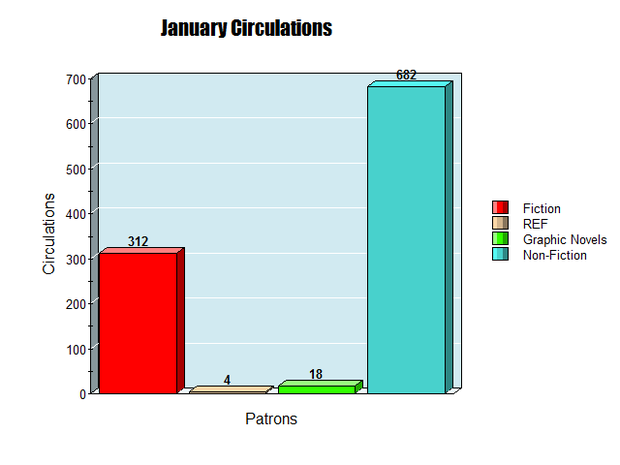 We had a short month due to holidays, yet still circulated 1,016 titles through 488 patrons. I hope this sets a reading trend for 2015!